I will also provide a compatibility CD that will allow the game to run under ALL VERSIONS of Windows 10, 8, 7, Vista and XP, both 32 and 64 bit. The game has been patched to its 1.4 final version. The world of EFS is a medieval science-fiction realm in the tradition of Warhammer 40K and Dune: noble houses, warring factions, an avaricious mercantile caste, and a fearsome inquisition. As a setting, it's already a cliche, but EFS spins it magically and makes it work. At the start of the game, the emperor has mysteriously died, leaving a power vacuum that must be filled by one of the major players. The goal is to use force, wealth, and diplomacy to get the other leaders to elect you regent, and from there secure the throne as Emperor. 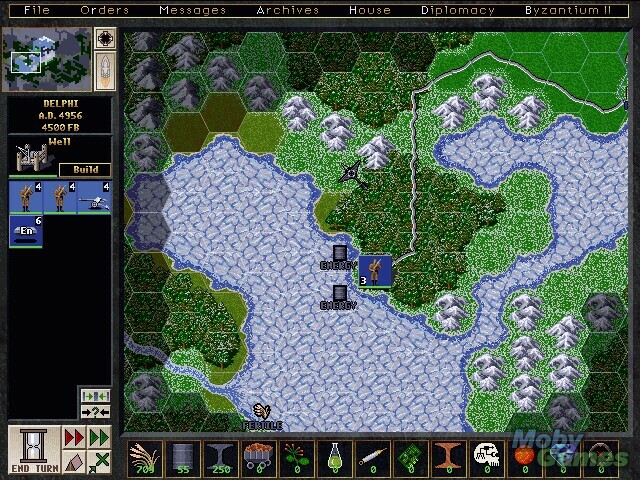 Unlike similar Civilization-style conquest games, EFS does not start on a blank map and force dozens of game turns of exploration, expansion, and military build-up before you have an empire. 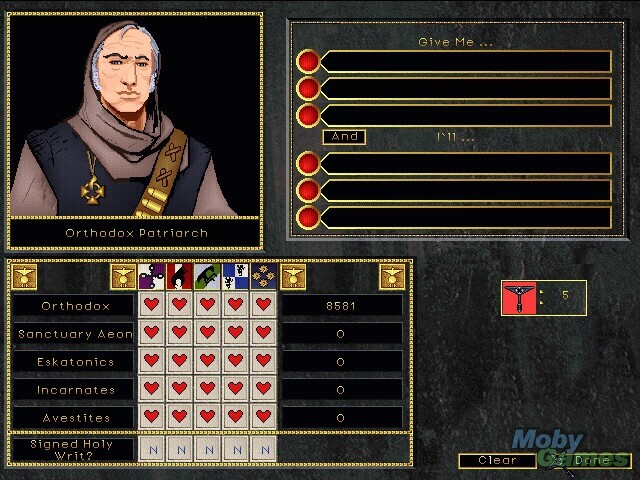 Instead, you begin with a small empire, a military force, wealth, and a general knowledge of the game universe. Some of the maps of these planets have been lost, leaving you with only a vague sense of their geography, while others are known to you. Gameplay is broken down along familiar lines. There is research to be conducted in order to build new units and get certain advantages. As with other traditional elements in EFS, however, there is a twist: Technology proscribed by the inquisition may be researched, but could result in your excommunication. These are deadly, often psi-based techs, and the ability to delve into the darker areas of research is a great touch. The main part of the game is played across a universe map and planetary maps. You can build a space armada and explore hidden parts of the universe, then drop units (troops, engineers, spies, etc.) on the planets and begin taking them over. Different buildings can be built or discovered on the planet surface, and form one of the keys to EFS. Ruins (both alien and human) often hide special relics with special powers, while the merchant league runs Agora (trading posts) and psi-lords dwell in monasteries. The player may build elaborate cities of factories, churches, mines, farms, chemical plants, palaces, and other structures, with a core group protected from orbital attack by a shield. Buildings not only produce units, but also resources necessary for construction and available for trade. The resource element of EFS can be quite complex. A strong diplomacy option, which allows you to cajole, threaten, or form alliances with the other leaders adds a good element of deviousness and politics to the mix to balance the trade and military aspects. The result is a game, much like Machiavelli, in which shifting allegiances and the fortunes of war make for an interesting mix. There's a lot going on here, with over a 100 units available for production, complex planetary landscapes, intricate trade and production elements, and an over-arching story of the noble houses and alien races. 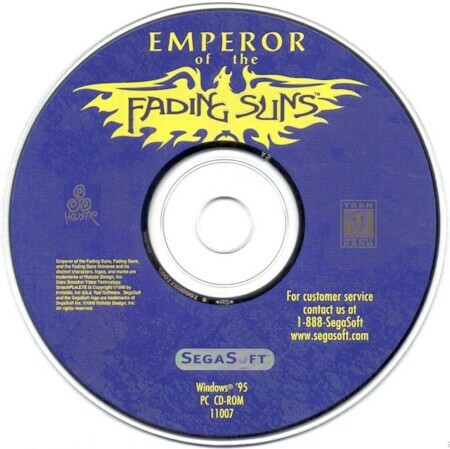 Emperor of the Fading Suns is a good game, simply too rich and well done to dismiss casually.